Bureau of Land Management officials will begin installing emergency fuel breaks this week along roads in the low country of Owyhee County to reduce the threat of wildfire, BLM officials said. The project is part of the emergency rehabilitation efforts for last year’s 280,000-acre Soda Fire. 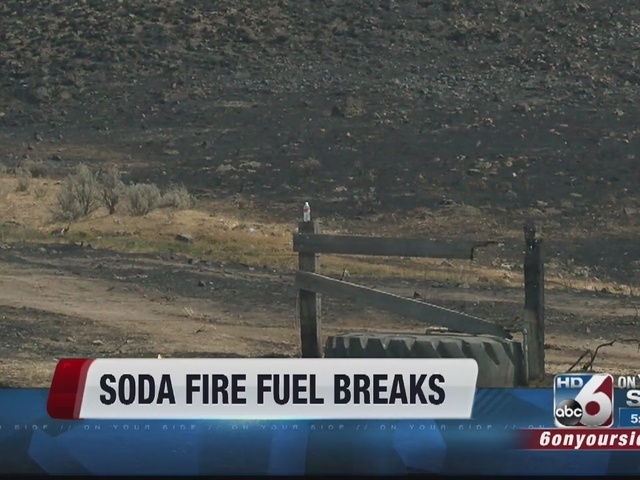 he Soda Fire burned more than 400 square miles of federal, state, and private lands in southwest Idaho and eastern Oregon last August. It greatly impacted the landscape that supports native wildlife, outdoor recreation, and other important values, according to a BLM news release. The emergency fuels break project is designed to remove unburned vegetation on public lands near homes and structures. Fuel breaks will be established primarily through maintenance and improvement of up to 25 miles of existing roads. The BLM will implement about 1.5 miles of targeted grazing and shrub mowing treatments along the road north of the Hemingway Butte Recreation Area to protect nearby private property and upslope treatment investments. The BLM is conducting these treatments while it completes a thorough analysis of the larger proposed fuel break project through an Environmental Assessment, which will be released for public comment later this month. Almost all of the Soda Fire burn area was habitat for the greater sage-grouse, with more than 50,000 acres designated by BLM as Priority Habitat Management Area for the species. The fire also had a devastating impact on ranchers who lost livestock and other property on both federal and private land. A team of more than 40 natural resource specialists has been working since fall to stabilize and rehabilitate the burned area and reduce threats to life, property, and resources on BLM-managed lands in both Idaho and Oregon. Treatments to date have included aerial and drill seeding, herbicide treatments, hazardous materials clean-up, fence construction and other measures. The treatments will include construction of about 2.5 miles of fence in the Hemingway Butte Recreation Area, the BLM said. While treatments are underway, recreationists should be alert for places where fences will cross the trails and sand washes and leave gates as they are found. These new fences will be temporary and will be removed when targeted grazing is complete.